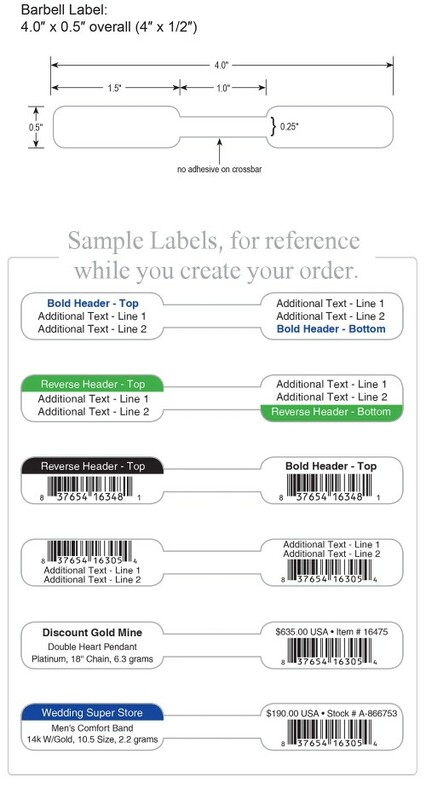 Small Poly Barbell Labels: Our small barbell labels are made from durable bright white synthetic (plastic) material, which gives you added security because they stay firmly attached to your items. 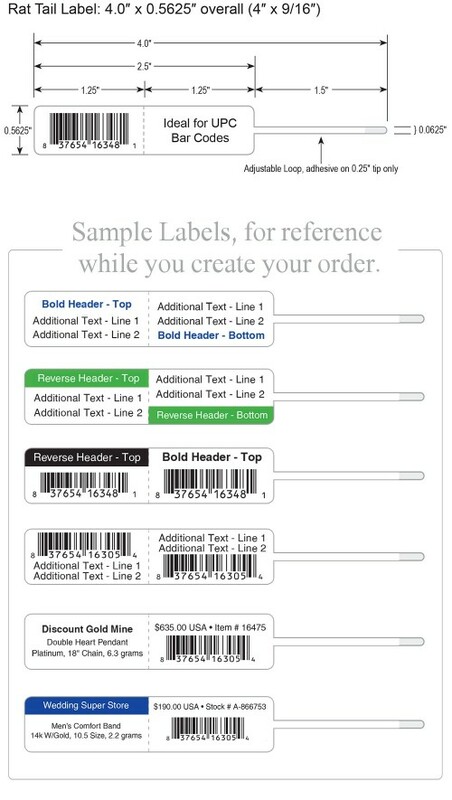 Each label is 2.75″ wide, but only 1.375″ when folded. Each end tab gives you a print area that’s 1.0″ x 0.625″ and we can print in 1 or 2 colors for you. 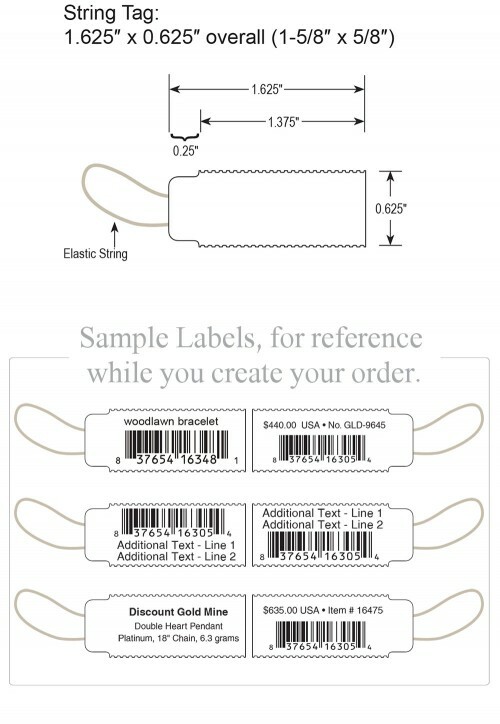 There’s no adhesive on the crossbar, so you won’t get adhesive on your items, and the labels can be cut away cleanly.